I’m sure you had fond memories of your dating life when you were young. Maybe you have more responsibilities now than you did then (kids, a mortgage, a high-profile job, a set of habits that places you permanently in front of the TV) but you still have just as much to offer women and a wealth of experience to boot. Mature dating poses challenges, as you may have just come out of a marriage or long relationship and may not have had to think about dating for some time. Stick with it though. It’s never too late. Mature dating can bring you connections with the benefit of hindsight. Whether you’re over 50 dating people the same age or over 40 dating mature singles, you’re going to need to move your talk offline eventually. The main advantage you have over your 23-year-old self is time.. Dating for seniors often comes via the introductions of friends and family, from the workplace, or from church groups and schools attended years ago. You have a lifetime’s worth of connections to rummage through. Whether you’re a sprightly 60 or a mature 50, it’s likely taken you some courage to jump back into the dating game. You need to look for leads. 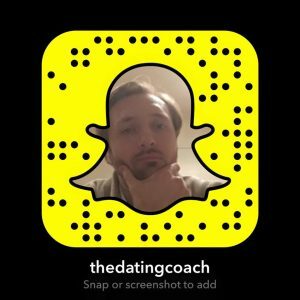 Before you re-enter the dating world, be social. Go to parties, say yes to things, learn to relax and unwind from work, and get involved in the parts of what you love that involve other people. You like football? Stop sitting at home betting and join a five-a-side league. Like sitting at home reading? Participate in a book club. Are kids taking up all of your time? Hang out with other parents. You will almost by default be introduced or actively set up with more women as a result. Plus, you’ll be a more youthful, proactive, complete person as a result. With the pressures that accompany middle age, flirting at 40 dating over 50 can admittedly a complicated framework in which to go to bars, set up dates, meet women, and be back in time for the commute. Signing up to mature dating sites is a great way to strike up a connection first, gauge what situation you are both in, and see if there is enough of a spark to move forward. You have precious little time to dedicate to a frayed connection that is going nowhere, and making online contact first on one of the many free dating sites for seniors is a surer way to invest in worthwhile options. You also have an opportunity to make an excellent account of yourself. You should take mature dating as an opportunity to rebrand. Get a new haircut, maybe get a lady friend to go clothes shopping with you, and make sure you update Facebook every once in a while with a fun thing you’re up to or something that interests you. Choose your best angle, a shoulders-up profile picture and remember to smile in it. Watch out for liars. Be cautious: when you’re over 50 dating site, encounters can pretty often be falsified. Some of the best dating sites for over 50 are the Guardian’s ‘Soulmates’ site and eHarmony. They are moderated, and matches are worked out for you based on compatible characteristics. You can never 100% weed out online impostors, but a joining a moderated dating site should go some way to making sure you aren’t wasting your time. Also, search for yourself on the Internet. You’ve been alive twice as long as the internet, and you may be half as familiar with it as someone younger in the online dating game. The wrong exposure online can lose you a job or a potential date. If she clicks off your profile onto Google, make sure she sees the right information. Keep your Facebook up to date and make sure it shows at least the county of residence. If you have a fear of the internet and all of the over 50 dating sites and are looking to start dating again, you still have the networking options mentioned above. You would, however, be losing access to a tool that has great potential for mature daters. If you lie online or fail to tell the women about children, then it’s only going to break that trust. Older women need to be able to trust you. They’ve likely been married or deeply involved with someone before. Be open in a sense that you should not be ashamed of your life. You’ve seen 4, 5, maybe 6 decades through. You’ve made mistakes, earned stripes, and lived stories. Maybe you’ve been married or lost someone. Talking about your life truthfully can be a superb way to make a connection and find a shared experience. Unless you’re a very motivated type of person, I guess you’re on this page because you’re one of those older guys who can’t still run a marathon or doesn’t quite still have the chiselled jaw of his heyday. With mature dating, conversation skills are more important than ever. Once they get past the free dating sites, over 50-year-olds are judged on their conversation and charisma. For a guide to mastering conversation, see How To Talk To Girls online article or, click here to find out about my 7 Day Course.